This month's issue of Connections focuses on the 100th anniversary of Alpha Sigma Nu (ASN). AJCU enjoys very close ties with ASN, the honor society for Jesuit colleges and universities. 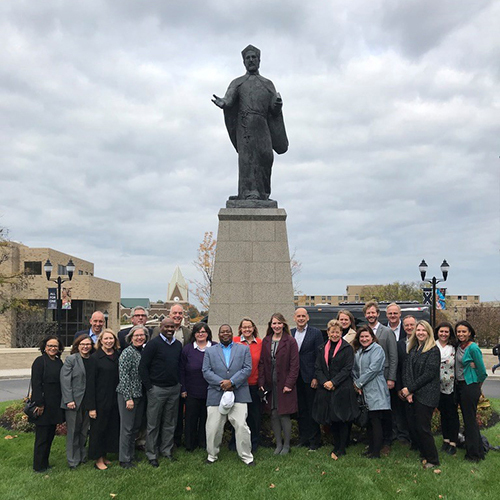 We are proud to celebrate the many accomplishments of ASN members, and congratulate Executive Director Kate Gaertner and her colleagues on a very successful centennial conference at Marquette University last week! 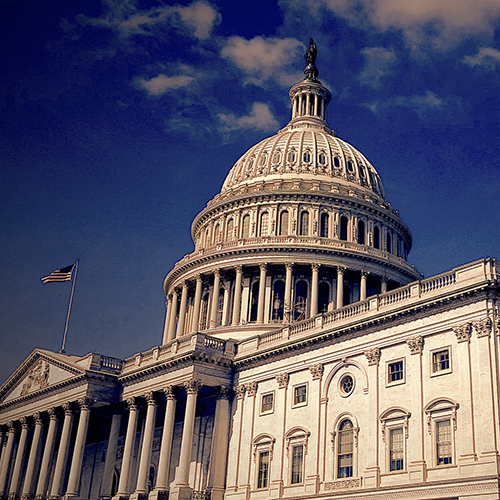 Last October, the U.S. Department of Education extended the Perkins Loan Program for one year. Unfortunately, the General Education Policy Act (GEPA) does not allow for another year of extension, and on October 1, 2015, the program’s revolving fund would have to be recalled, thus ending the Perkins Loan Program. Alpha Sigma Nu (ASN), the honor society of Jesuit colleges and universities, marked its 100th anniversary on October 15-18, 2015, at its 33rd Triennial Conference, hosted by its founding institution, Marquette University. ASN’s Faculty Advisers, Board of Directors, Alumni Club presidents, and 55 of its student Chapter leaders heard from important voices in Jesuit higher education and from Jesuit social justice programs. Three Canisius College alumni are recipients of Magis Medals from Alpha Sigma Nu (ASN), the national Jesuit honor society, in celebration of its centennial anniversary. Frederick G. Attea ’61, Robert M. Greene ’66 and Megan Brenner-Zwara ’10 were among 100 Alpha Sigma Nu members to receive Magis Medals. The honor is given to those members who truly live out the values of Alpha Sigma Nu. In September 2014, as they began their senior year, the leaders of Fordham University’s Alpha Sigma Nu chapter set out to uphold the honor society’s traditional tenets of scholarship, loyalty, and service. But they also had a fourth priority in mind: visibility. Saint Peter’s University has a multitude of national honor society chapters that recognize the achievements of students in a wide-range of programs and fields. However there is only one honor society on campus that acknowledges students who have not only excelled in their coursework, but have also embraced the ideals of a Jesuit education: Alpha Sigma Nu. Rev. Daniel S. Hendrickson, S.J. is the 25th president of Creighton University. A Nebraska native, Fr. Hendrickson earned his B.A. in psychology and theology from Marquette University in 1993 and entered the Society of Jesus in 1994. He received his M.A. in philosophical resources from Fordham University, a Master of Divinity degree from the Jesuit School of Theology at Santa Clara University, and M.A. and Ph.D. degrees from Columbia University.